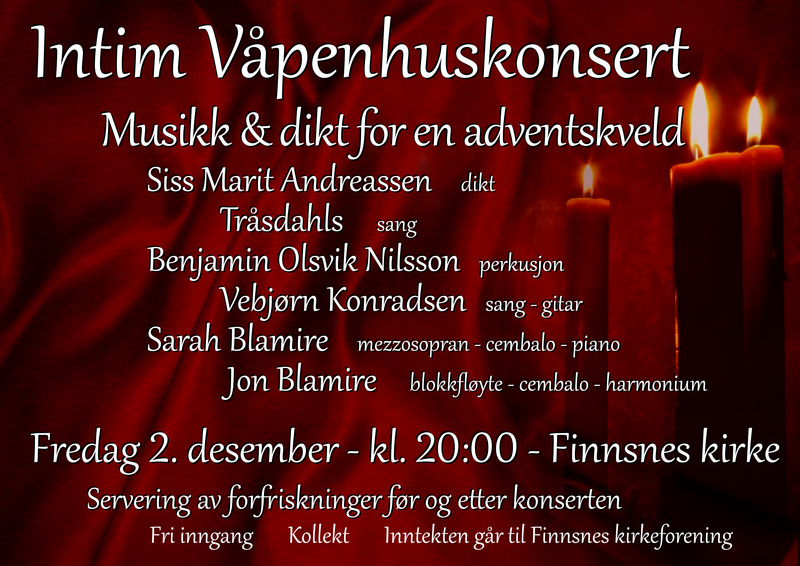 For those of you in striking distance of Finnsnes, this Friday we have an Intim Adventkonsert (intimate advent concert). It was originally scheduled to be in the våpenhus (foyer), but there is a suggestion that there wont be enough space for the expected audience, so we’re moving it into the sanctuary, and using lighting to focus on a small area. Also no-one will be allowed to sit at the back!!! As well as Sarah and I, we have a very talented guest vocal group, the Tråsdahls, percussionist Benjamin Olsvik Nilsson, and guitarist Vebjørn Konradsen. Our Norwegian language coach, Siss Marit Andreassen is acting as host and reading poetry. 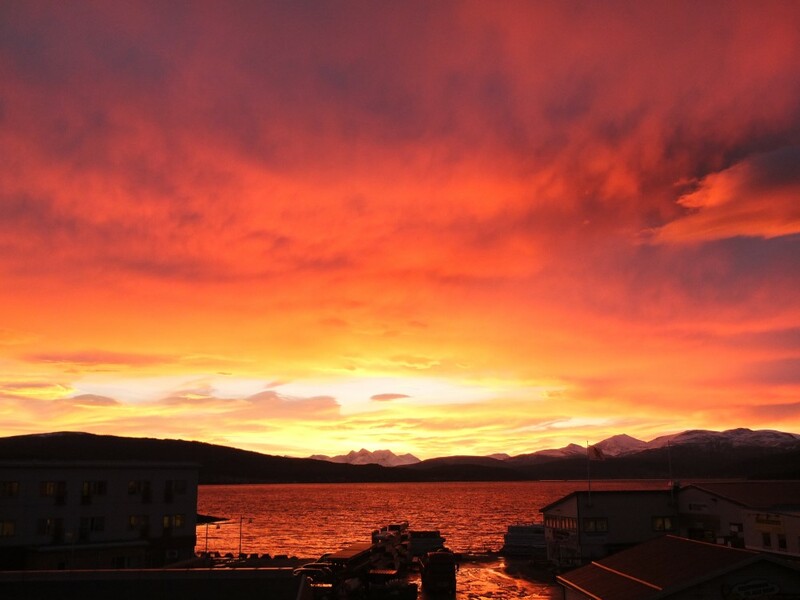 The concert has a flavour of advent and the north Norwegian winter. 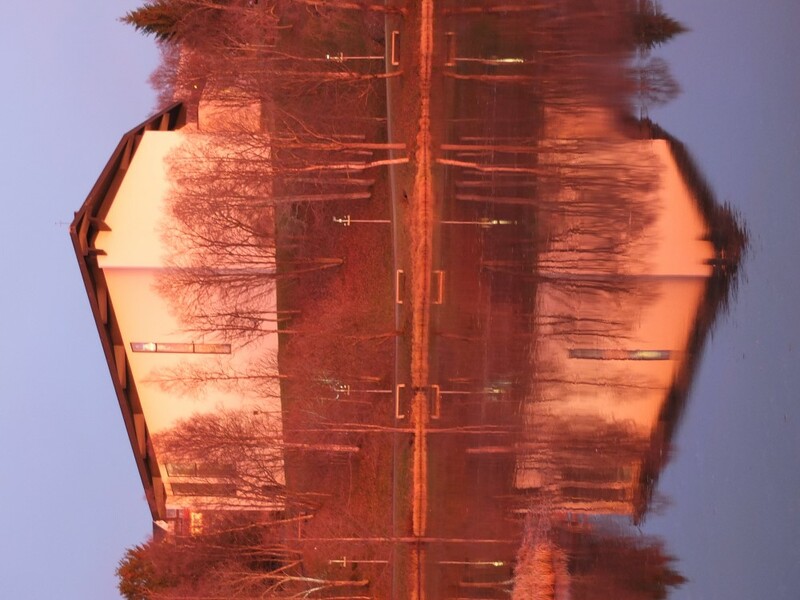 The weather here has been very unusual, with pretty much no snow until last weekend. The last time there was so little was during WWII. The blue tinge to all the pictures is because we are now in mørketida (the couple of months of “dark time” when the sun doesn’t rise). Turned out the ski trip was well timed, as in the evening the temperature rose above freezing, it began raining, and now everything is slush and ice. Back in July, Susanna and I and two other friends had a an impromptu trip to Lofoten (the archipelago south of here). We stayed almost at the end of the chain, in a very picturesque village called Ballstad. Almost everything about Ballstad is well manicured and ordered. Even the seagulls sit in equispaced lines, and the outside of the shipyard shed is painted with a local mural (about 6 storeys high)! We hope to take a slightly longer trip in 2017, not least because some friends have just moved to near Ballstad.